golfscape defines why Bali is THE ultimate bucket list hotspot with a guide on the top 10 things to do during your visit. 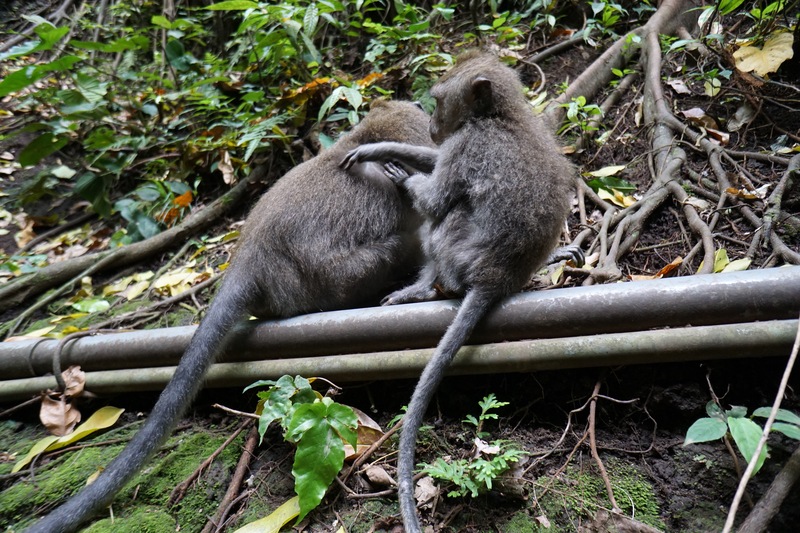 First stop is Ubud, one of Bali’s most famous sites. Located up in the north of the island which is far from the crowds at the coast. Embraced by volcanic mountains and rainforests, Ubud preserves magical lakes and waterfalls that are definitely worth a visit. Some of Bali’s most iconic rice paddies are located in Ubud. Visitors can trek through them or enjoy a meal with a view of the exotic emerald-green fields. Pura Tanah Lot is one of the most important Hindu temples in Bali. The temple was built in the 15th century by a Hindu priest and is situated on a huge offshore rock which you can only reach during low tide. At sunset, when the sky is filled with hues of pink and crimson, the temple’s dramatic setting becomes a popular spot for tourists. Pura Tanah Lot is located beside one of Bali’s best resorts, the five star Nirwana Golf Resort. The view of this enchanting temple is the perfect backdrop while playing a round of golf! Be sure to fit Uluwatu Temple into your itinerary to experience one of the most magical sunsets. 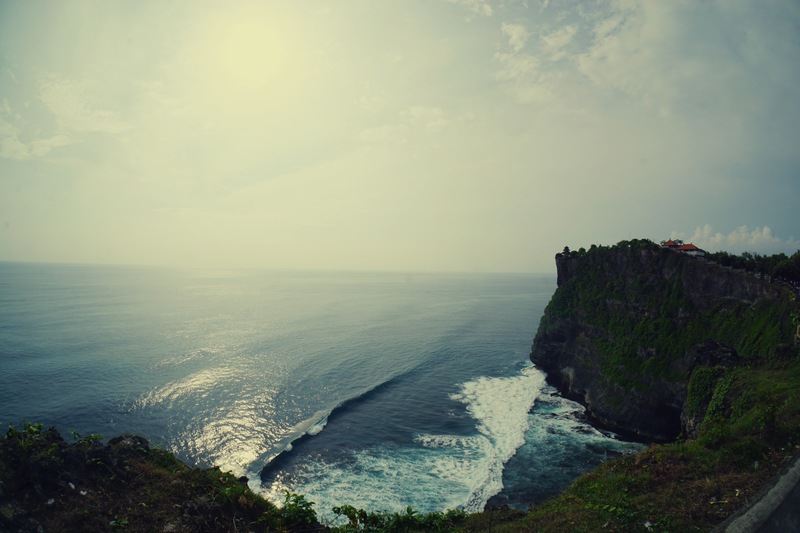 Perched on a steep cliff, Uluwatu Temple, is considered to be one of Bali’s spiritual pillars. Take a walk through the temple’s premises alongside the cliff, and be sure to take a camera to capture the beautiful settings. From black sands to turquoise waters, a Bali holiday wouldn’t be complete without visiting one of the many beaches. The coastline is home to dreamy white sand beaches, including the stunning Nusa Dua beach which is only a short drive away from Ngurah Rai International Airport, and the world-class Bali National Golf Club. In North Bali you will find Lovina, a laidback coastal town famous for its volcanic black sand beaches and dolphin watching tours. If you prefer a pebble rock beach, travel to Tulamben, where calm waters offer a once-in-a-lifetime snorkeling experience. If you fancy a road trip, Pasir Putih, also called Virgin Beach is the perfect location. This beach is popular with tourists and surfers due to the magnificent panoramic views, and the left-hand coral reef break. Travel to the iconic Thomas Beach for a blissful beach walk, or Amed Beach for the ultimate diving experiences, and be sure to see Gunung Payun, which is one of the most idyllic beaches on the Island. Do you like mountain trekking? 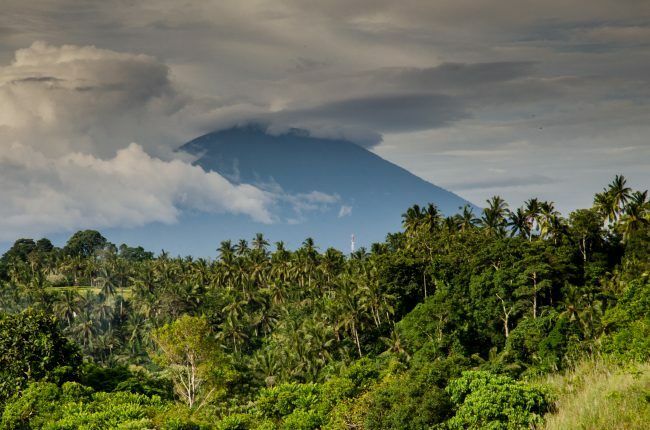 Test your fitness with the challenge of hiking the volcanic mountain of Batur. 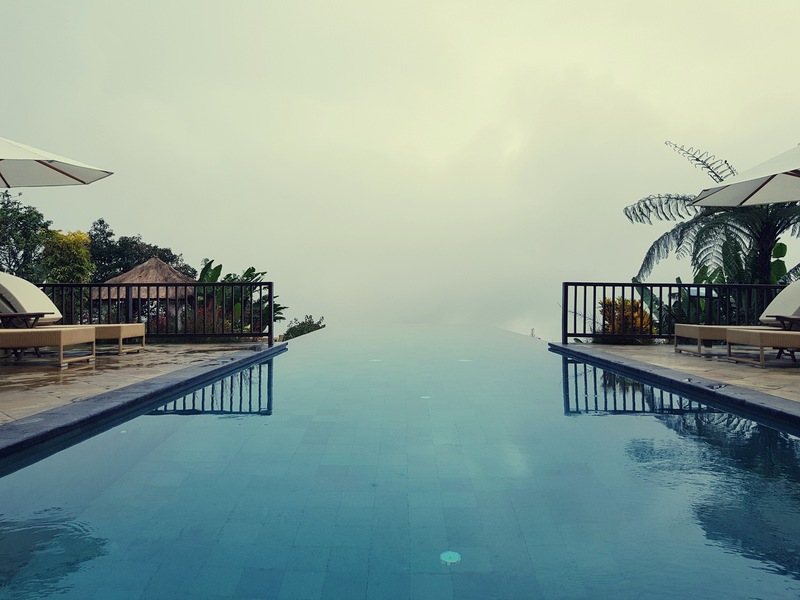 Located in the region of Kintamani, at an altitude of 1,717m above sea level, lies the sacred mountain of Batur, an active volcano that last erupted in the year 2000. You can book an early morning hike and watch the majestic sunrise from the top of Batur. Continental Bali is a land of hidden natural gems and no trip would be complete without visiting some of its iconic lakes and waterfalls. The breathtaking Gitgit, Ambengan, Sekumpul, Munduk, and the Banyumala Twin Waterfalls are definitely worth a visit! The largest lake in Bali is the sacred Lake Batur, you can find this lake inside the crater of the Batur volcano. In the 19th century, Lakes Buyan and Tamblingan were combined until a landslide divided them into two. 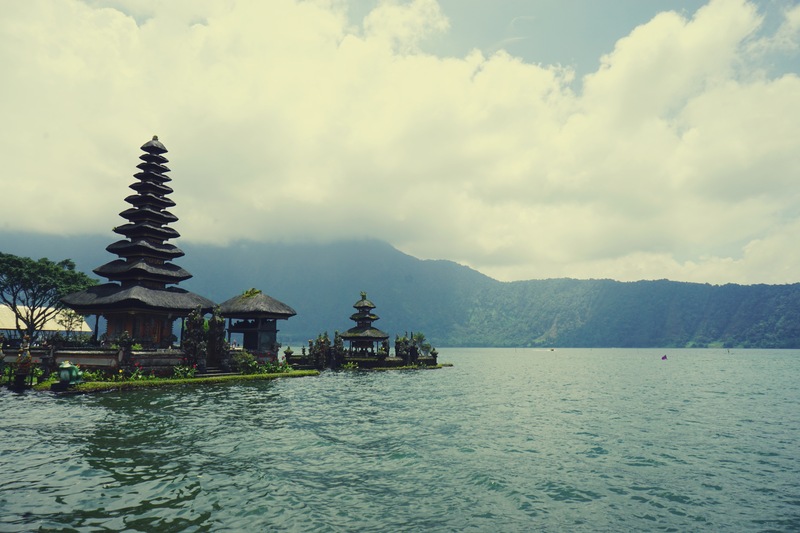 At the Bratan Lake lies one of the most grandiose examples of Balinese architecture the Pura Ulun Danu Temple, a temple devoted to Dewi Danu – the goddess of lakes and rivers. Bali is heaven for coffee addicts… Visit coffee and tea plantations to get direct insight into how the Balinese produce coffee and indulge in the ultimate coffee tasting experience. One of the most authentic places to visit to taste the coffee is the village Munduk, where Bali’s famous Munduk coffee originates from. Make sure you try Bali’s endemic Luwak coffee, one of the world’s most expensive coffees. Furthermore, you can go strawberry picking at the coffee plantations, some of the farmers allow visitors to buy organic fruit and vegetables that they have grown. 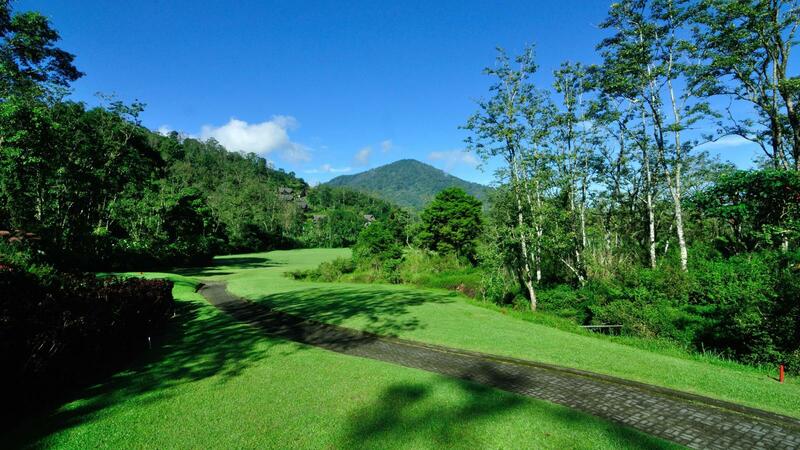 Bali is home to some of the world’s most scenic and prestigious golf clubs. Handara Golf & Resort is located within the mountainous region of continental Bali, inside the crater of an extinct volcano. The course promises a relaxing round of golf amongst spectacular scenery. A great option for those wanting to escape the hustle and bustle of the coastal areas. A short drive away from Bali’s Ngurah Rai International Airport lies Bali National Golf Club a luxury course offering a unique golfing experience. Located within the Nusa Dua, Bali National Club is especially convenient due to various accommodation and fine dining options located at the course. If you love golf you should check out the other golf courses located throughout Bali such as New Kuta Golf, Bali Beach Golf Course, and Bukit Pandawa Golf & Country Club. Traditional Balinese Massage is a reviving combination of reflexology, acupressure, and aromatherapy. Massages not only fill you with deep relaxation, but also treat various ailments such as anxiety and stress. Bali is a place of spirituality and attracts many yoga lovers, creating the perfect destination for those seeking rest and serenity.